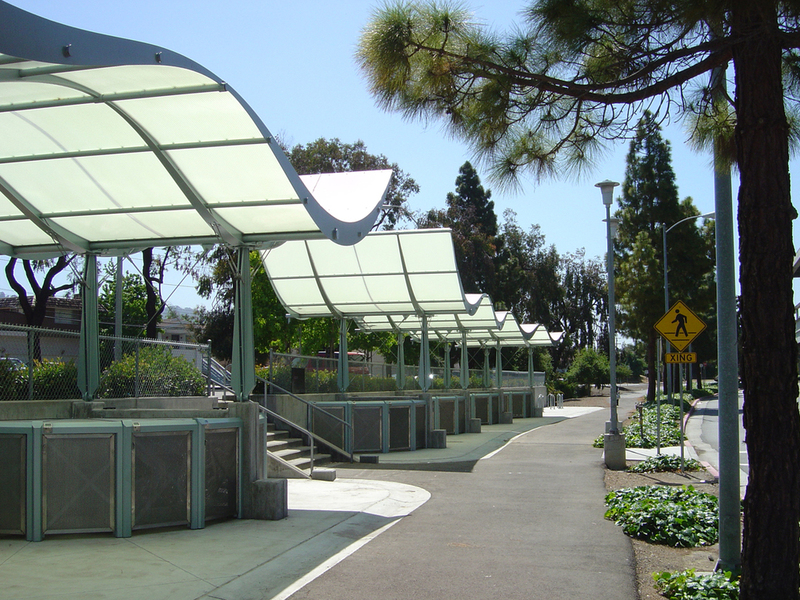 The Metropolitan Transportation Commission granted funds to the City of El Cerrito to develop a bicycle parking facility at the El Cerrito Plaza BART station. The City desired more than just bike parking; it wanted a landmark design statement as well. 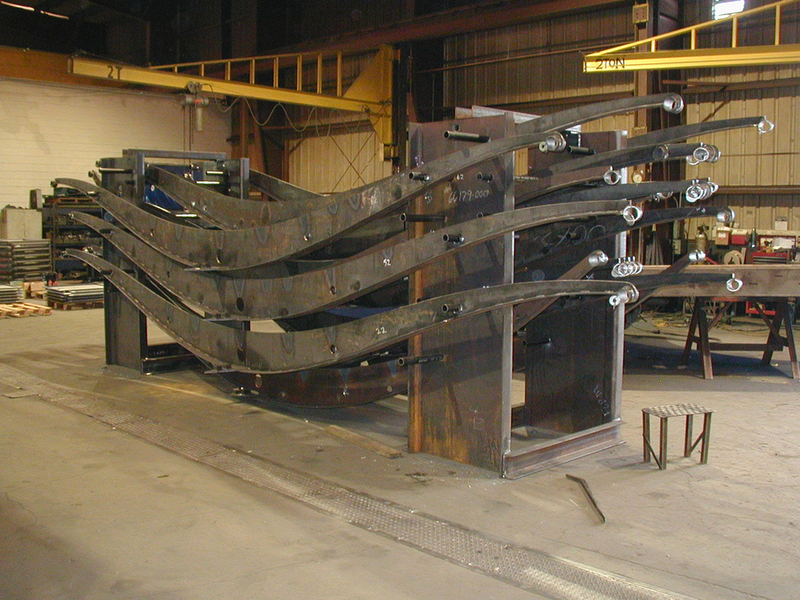 In 1999 Steven Grover & Associates was retained to provide architectural and engineering design services. · Visible and attractive - so that people are actively reminded of the option of biking. The roof structure design employs a shimmering flexible glazing material and a three-hinged arch framing system from laser-cut steel to create a light and elegant linear structure which contrasts with the heavy linear concrete structure of the BART station and elevated rail system.